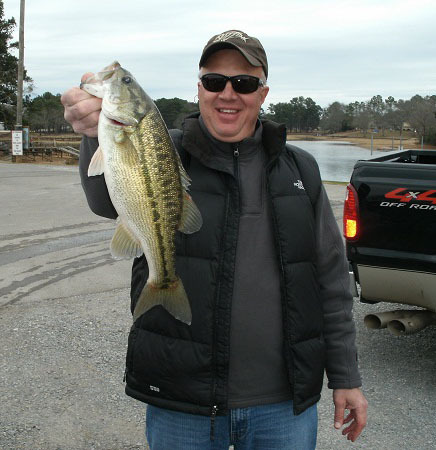 Holt Lake is one of those lakes in mid Alabama that you just don’t hear many anglers discuss. Bankhead Lake to the North and Lake Tuscaloosa and Demopolis Lake to the South, get more recognition. This long and winding Warrior River System starts at Smith Lake and goes all the way to South Alabama. Holt Lake is right in the middle. So why is Holt Lake not a very popular lake with Alabama anglers? One reason being, lakes that exhibit unusual, tough fishing conditions — four seasons out of each year — are usually shunned by the very knowledgeable anglers. Anglers that are tempted to look elsewhere, for a “tug on their line” where bass fishing is often much better than Holt Lake. On the Warrior River System you have two types of impoundment’s, among almost a half dozen man made reservoirs, some lakes that were impounded almost 100 years ago. Smith Lake, Lake Tuscaloosa and Holt Lake display some rather deep depths in each reservoir, some reaching over 100 feet deep. Bankhead Lake and Demopolis Lake are more flatland lakes displaying an average main river depth of only 30 feet, with some deeper holes reaching 50 feet or more. 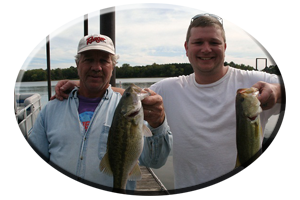 So as you can see, if you have ever had the pleasure of fishing Smith Lake or Lake Tuscaloosa you can relate to why Holt Lake is often a tough lake as well, for even the best of Alabama’s anglers to try and figure out. 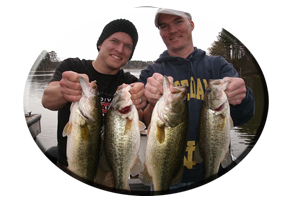 But these bass are catchable bass during the fall season and your success rate is usually (more than likely), going to be higher during the fall season as waters cool and often on into the early winter period, than during other seasons. Heres why. As fall approaches it is a very welcome sight to these Warrior River spotted bass and the healthy population of big, largemouth bass, all living within the 18 miles of Holt Lake. These bass have had to deal with two major problems on Holt Lake (and other Alabama Lakes as well), this past summer season. One “big problem” that seemed like it would never go away was the hot, midday 100 plus degree heat (August showed a two week period in the low 100′s with no rain), Alabama had to endure during the latter part of this past summer. With very abnormal temperatures and no rain comes another problem. Drought. With drought, comes low water on all of Alabama’s Lakes and Rivers. Holt Lake suffered as well as the others, with the lake often down a few feet, when it should be full pool. But like said, fall is the best season to explore Holt Lake. As waters begin to cool the so noted Holt Lake spotted bass begin to gorge themselves on baitfish schools, instinctively fattening up for the upcoming winter season. 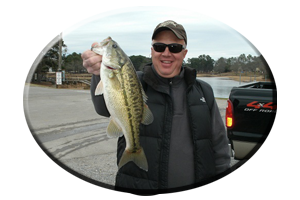 Unknown to many Alabama anglers (some that have never even sampled Holt Lake’s waters, those that seek their trophy sized spotted bass elsewhere), there are some 6-7 pound “spots” here as well. Fall is a good time to connect with one of these monster spotted bass. 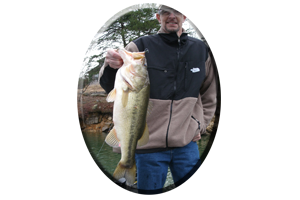 Often the years biggest spotted bass are taken in the fall and early winter period on this lake on lures such as topwaters, spinnerbaits and crankbaits. 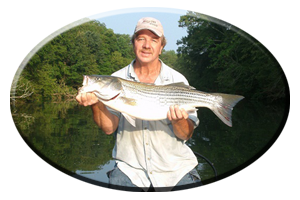 Many of these huge, spotted bass are deep water oriented and they have spent the past scorching summer either suspended out over deep water feeding on passing by baitfish schools, or some really big spotted bass often go deep on Holt Lake during the summer. They may be found in deeper depths of 50-100 feet deep, possibly feeding on bottom traveling meals, like crayfish. As waters cool these bass follow the baitfish schools into the shallows. They often travel far up in feeder creeks and can be found franticly feeding along main lake flats, points, islands, rock bluffs and especially around points leading into the mouths of creeks. The largemouth bass of Holt Lake were relocated this summer as well. Low water pulled many largemouth bass from their weedy homes to the safety of deeper water. There were some weeds that rejuvenated themselves even with the lakes low water. New growing aquatic weeds, then made some new, green, oxygen rich homes for these largemouth bass to bunch up in, as air temperatures reached 105 degrees in late August and shallow water temperatures were in the low 90′s. Either that or these bass had to travel Holt Lake in search of a new home in or near deep water or hang around some new form of wood and rock cover. Many bass just plain became scarce and very hard to locate this past summer. So as waters cool and falls incoming rains possibly swell the lake back to full pool, the bass will invade the shallows of Holt Lake and fishing will get better the cooler it gets.